Akumina’s InterChange Apps improve the content authoring and site management for SharePoint users. The last-mile solution to enable broad merchant acceptance of virtual currencies. Built by payments experts. 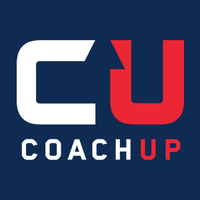 CoachUp is the leading marketplace bringing private coaches and young aspiring athletes together. Combine machine data streams from your production floor into monetizable insight for your business. Eversound Group Wireless Headphones help you empower your residents to socialize through participation and engagement in community activities. Applied Biomath is de-risking biotech development and accelerating best in class drugs by employing quantitative models. Inspired by our own success in developing and marketing innovative products and services, we’re committed to helping businesses turn their ambitions into realities. From initial conception to full-stack development to ongoing marketing and sales strategies, we aren’t kidding when we say that we do it all. Nanocomp is the global leader in the design and manufacture of pure carbon nanotube materials, including yarns, tapes, sheets and slurries. Like the Namib Beetle, NBD Nano creates unique and customized materials that manage and control the interaction of water with a wide variety of surfaces. NBD Nano is a venture backed nanotechnology company, developing cutting edge solutions for applications that could benefit from hydrophobic, oleophobic, or hydrophilic properties. Spiro is your personal sales assistant for salespeople who want to make more money, and the companies that want to help them close more sales. Splitwise is the easiest way to share expenses with friends. Whether it’s splitting bills with roommates, sharing a vacation house with a group, or figuring out who should pay for lunch, Splitwise takes the stress and awkwardness out of sharing costs. uConnect is focused on student/employer engagement through better tools for higher ed career services offices. WOO is an interactive game that connects riders in kiteboarding and wakeboarding around the world. Liquidware Labs™ is the leader in desktop transformation solutions for next-generation physical and virtual desktops, including VMware View, Citrix XenDesktop, and Microsoft Windows 7. Discover What’s Fresh at the local places you Adore. Founded by a team from MIT, XL Hybrids has developed a hybrid electric conversion technology for Class 1 through 3 commercial vans and trucks. We engineered the powertrain to increase vehicle efficiency, while generating a return on investment from the fuel savings. Kantum is developing a specific AKI therapy to help critical care clinicians prevent hundreds of thousands of deaths from AKI. This targeted therapy will be supported by development of a novel diagnostic test for AKI.